AverageBro: George Zimmerman Sits Down For A Regrettable Interview With Sean Hannity. George Zimmerman Sits Down For A Regrettable Interview With Sean Hannity. 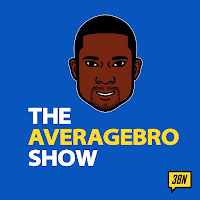 I've got an episode of the AverageBro Show coming later today in which I discuss this atrocity, but for now, just watch it yourself and weigh in below. Question: What the heck was Zimmerman thinking?! ?